MAI International GmbH offers our customers high-quality industrial products in the fields of 3D-concrete printing, foam mortar production, mixing, grouting and conveying technology. MAI products are sturdy, user-friendly and reliable. We stand out because of our innovative solutions and helpful cooperation, excellent service, trust, and a qualified and highly motivated team. Because the unique needs of each customer are our biggest priority. We build strong relationships with our customers and their complete satisfaction is our top priority. Reliability, trust and respect are the cornerstones of any partnership and we recognise that our success is built on these values. ‘The individual is our main concern’ is the MAI mantra. We focus on the needs and problems of the users of our machines, the person as our customer and, at the same time, on everyone in our wonderful team at MAI. We are a company that always strives to create something new! We want to inspire our customers through innovation, quality and continual improvement - each and every day. We recognise the possibilities offered by new technologies ahead of the rest. Our development team’s know-how is the product of intense cooperation with people in the construction and material manufacturing industry from around Europe. It is your guarantee for practical solutions on the construction site. From classic machines for external renders and internal plasters to under-silo mixing pumps for the dry mortar industry, MAI has got your construction or engineering project covered with cutting-edge injection technology. We want to improve the world with our innovations and make people’s lives better. We are committed to quality, the environment and safety. Environmentally-friendly production methods in a modern operation are obvious choices for us. All our products are subject to strict quality standards according to ISO 9001:2015. We are also leaders in occupational health and safety. 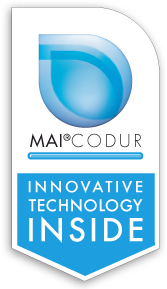 Discover the opportunities that come from working with MAI International GmbH. Our technical innovation and reliable quality standards set us apart from the rest. We would love to talk to you about your project. The development of modern grouting injection technologies has revolutionised the realisation of engineering projects around the world. From major construction work to structural strengthening and concrete repair, MAI grouting technology leads the way. MAI grout pumps are used all over the globe in a wide range of settings, from mining and tunnel building to securing mountain slopes and excavation pits. Civil and structural engineering industries benefit from MAI grouting technology in many significant excavation and construction projects. MAI International GmbH has been a leader in plastering technology for more than 50 years. Developing and manufacturing innovative plastering systems is what we do best and the range of MAI plastering equipment is a valuable component of construction projects around the world. MAI® International GmbH is always looking to make work on site easier and safer, and one way we have achieved this in recent years is through innovative development of screeding machines. Around the world, and on a wide range of job sites, our intelligent solutions for floor screeding feature user-friendly operation and a commitment to occupational health. Foam concrete is an extremely useful tool in the equipment of a modern construction project manager, and MAI porous lightweight concrete production systems are used in a wide range of building and tunnelling projects around the world. MAI International GmbH has been at the forefront of developing foam concrete production systems over the past few decades, and is an expert when it comes to cellular foam concrete equipment. 3D concrete printing is revolutionising the construction industry, quickly becoming an integral part of modern building projects, and MAI 3D printing technology is leading the way. MAI International GmbH has been at the forefront of developing equipment for use in 3D concrete printing applications. For perfect results from 3D concrete printing turn to the MAI range of 3D printing machines.